Blacklabel Tennis' take on this weekend's ATP and WTA finals. When Maria Sharapova defeated Serena Williams to win Wimbledon (her first major) in 2004, she was all steely serve and stinging groundies; a player perfectly crafted to dominate the field on fast courts. Yes, she's won Wimbledon and the US Open, but the Siberian Siren who stands before us today has morphed into a clay court colossus. With 25 consecutive wins on the red clay, including seven at Roland Garros that completed her career grand slam, Sharapova should be considered the runaway favorite any time she plays on the surface. But yeah, there's Serena. You remember Serena Williams, right? Muscular American,15 major titles, World No. 1, defending champion from last year's special smurf turf edition of the tourney. Maria Sharapova sure does. After that long ago loss to Sharapova at Wimbledon and a subsequent loss at that year's WTA Tour Championships, Williams seems to have vowed never to lose to Sharapova again. If she indeed did, she's kept that promise to herself. Nine years and twelve matches later, Serena is riding an unparalleled win streak against the Russian tennis star/candy magnate. Decisive proof of tomorrow's winner, no? Well, let us add one caveat; none of those matches were on red clay. 99% of Serena Williams matches are all about Serena Williams. This one is not, it's about both players. Serena has seemed a bit out of sorts all tournament long and Maria has seemed in her element. This is a big opportunity for the Russian, one we don't think she'll let slip. Sharapova stated that this year her 2013 goals were to win Wimbledon and the US Open. 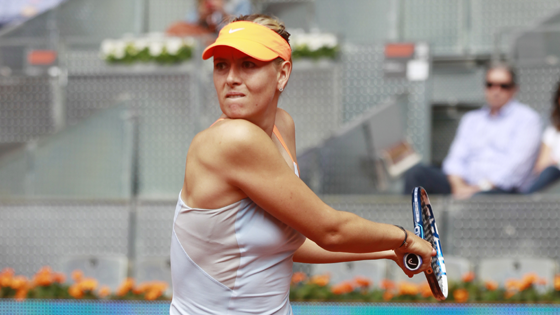 Desires aside, Sharapova's game best matches up with Williams on the red clay. 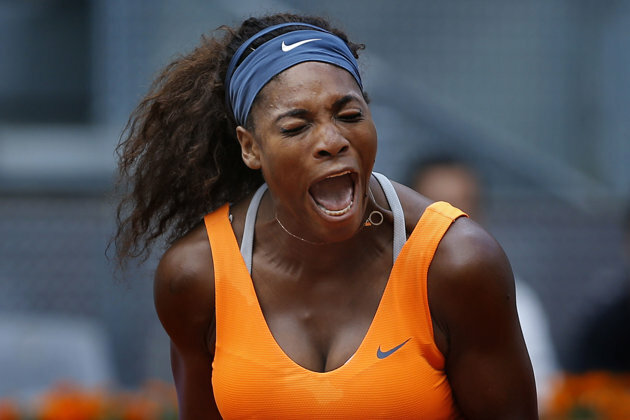 Serena's big serve is blunted somewhat by the slow clay. Maria's movement is as effective as Williams' on red clay, in part because the American's groundstrokes lose some of their trademark zip. Also, let's not forget that Serena's worst surface (she hasn't won a title on red clay since 2002) is Maria's best (she's won her last four starts). In addition to the title, the World No. 1 ranking is on the line and for Sharapova at least, a modicum of pride in stopping a near-decade long losing streak to Williams. The next time Stanislas Wawrinka beats Rafael Nadal will be the first time. Eight matches, eight Nadal victories. Seventeen sets, all to Nadal. Oh, and by the way, the match is on red clay and in Spain. It's fair to say that among those who analyze regressive analysis and home-court advantage, Nadal's the heavy favorite. The stats are the stats, but let's be honest, the history is history. Wawrinka, the longtime Swiss second fiddle is arguably playing the best tennis of his entire career. 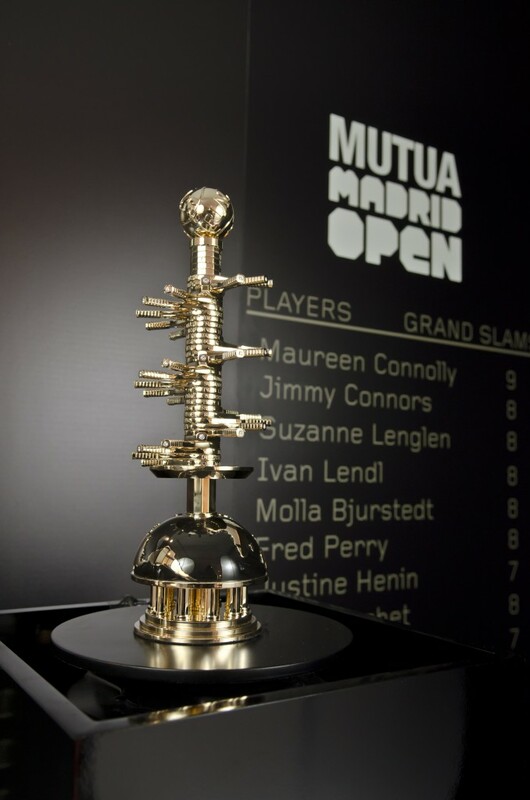 He will leave Spain back in the top 10 for the first time in almost five years. He's coming into this match on a nine-match win streak having won the title in Oeiras (nee Estoril) where he thrashed David Ferrer 1 and 4 in the final. He didn't leave his mojo there though, he dispatched Jo-Wilfried Tsonga and Tomas Berdych back-to-back in Madrid en route to his audience with the King of Clay. Nadal's return from exile has produced stellar results thus far. He's 29-2 with seven finals in as many events. A Masters title on the hardcourts of Indian Wells and two 500-level crowns in Acapulco and Barcelona is a strong start for a man who missed seven months of competition, but let's tell the whole story. While the King of Clay has certainly had regal moments in this comeback, his arsenal is not at full strength. 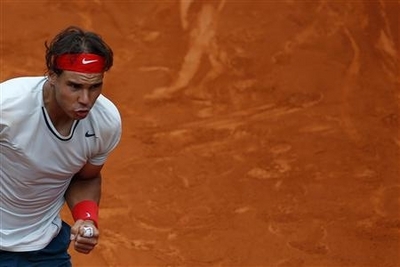 Nadal has relied on rhythm and physicality to conquer Roland Garros seven times, but he won't be able to rely completely on either in Madrid. The Spaniard hasn't yet established that rhythm, there are head-scratching lapses against lesser competition and looser forehands than he typically fires. Nadal also finally has realized that running down every single ball is not a strategy for longevity. Benoit Paire shelled Nadal with precise dropshots in the second round, but instead of Nadal's trademark duck and charge, here he gauged the trajectory of the ball and started thinking about the next point, preserving his strength for the longer war. In other words, if the 28-year old Swiss is ever going to break his duck against Nadal, this might be the day. 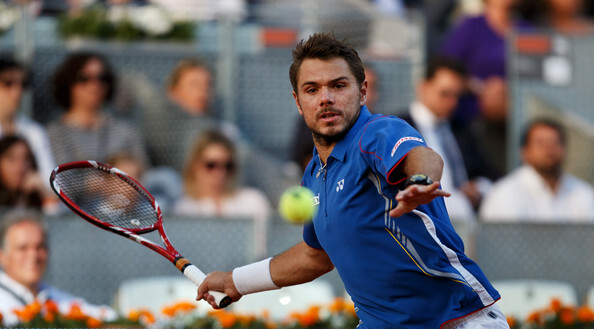 Nadal's winning, but vulnerable; Wawrinka's winning with heretofore unseen conviction. The Swiss is in with a shot for sure, how big of a shot...? Find the suitable for your career to be sure you'll be able to genuinely jump out by simply buying a lean carry handbag which has a stop coloring fashion. gucci replica These kind of specially ooze favor & specialized impact which has a cash S, along with assist you to be with the levels involving fashion & quality. replica chanel Increase that will search by simply picking the embossed preferences! Unique carry luggage, fake cartier or maybe, bags along with clutches normally, you are at the moment seeking, and then check out in this article to the biggest selection, & for ones chosen makes! fake omega In general they can't have a very securer. A new carry handbag will be the most up-to-date technique of holding your individual needs. fake gucci handbags A great number of variations & habits produce a new carry the supreme addition pertaining to career apparel. No matter what sort of carry you desire, range types along with patterns are all around.